The Chelsea winger completed an 18 month-loan deal move to Turkish club Fenerbahce. One of Conte’s regulars when he was managing Chelsea. The 28-year-old playing time for the Blues has drastically decreased since the appointment of Maurizio Sarri. Sarri told Moses that he did not see him in his plans for the team. Therefore, Moses was told to look for a move to another club. The Nigerian only made six appearances this season for Chelsea this season. 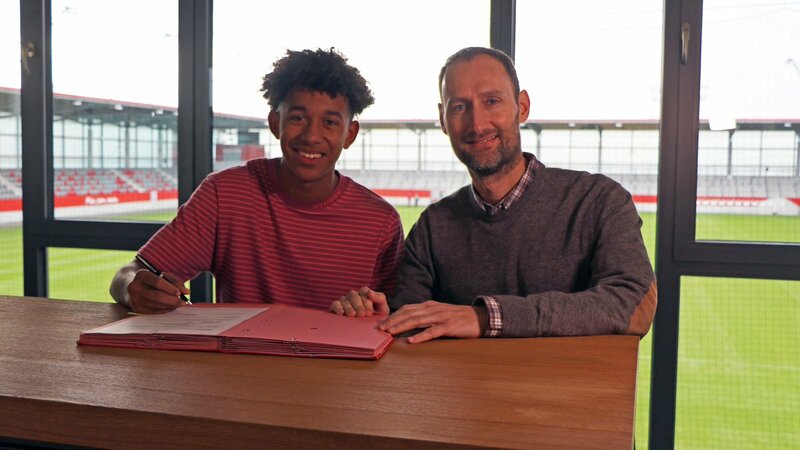 On Thursday, Bayern Munich officially announced that the club signed American defender, Chris Richards on a permanent deal. The 18-year-old joined Bayern last summer on a loan deal from MLS club FC Dallas. Richards made 21 appearances for the U19, scoring 2 goals. In addition, Richards signed a 4-year-contract with the German club which expires in 2023. West Ham player, Marko Arnautovic took to Instagram to state that he will be staying at the club. In the past weeks, sources reported the 29-year-old wanted to leave the club due to interest from a club from the Chinese Super League. At that time the club released a statement that Arnautovic will be allowed to leave. However, shortly after the statement, Arnautovic’s brother stated that his brother wanted to leave. With the latest statement, Arnautovic hopes to end the speculation and focus on his career at the English club. Since Paris Saint-Germain missed out on the chance to sign Frenkie De Jong. The French club now places their target to sign Renato Sanches. The club is in desperate need for a midfielder this transfer window. The club contacted Bayern Munich asking for availability of Sanches. However, Bayern Munich coach Niko Kovac recently said that PSG should look somewhere else. The Portuguese midfielder joined Bayern in 2016 for £32m from Benfica. The 21-year-old is now a regular in the first team since Kovac appointment as manager. According to various sources, Borussia Dortmund is willing to break the clubs transfer record to sign Wilfred Zaha. Since the sale of Christian Pulisic, Dortmund has been searching for a replacement. Also, the German club was linked with Thorgan Hazard in the past weeks. In addition, Dortmund could make a bid of £50m to sign the 26-year-old winger. Zaha’s current contract at Crystal Palace ends in 2023.